NO NEED, VAIL RESORTS ARE ON IT! 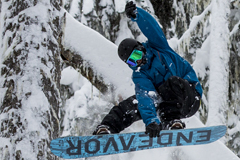 Vail Resorts have announced a long-term deal to power Whistler Blackcomb with Clean Energy. Coupled with an agreement to supply the mountains restaurants with compostable and recycled items. Meaning you can ride “guilt free”! 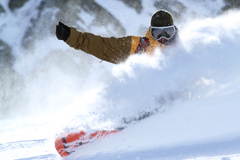 Vail Resorts has announced two new initiatives to significantly reduce the company's environmental footprint. The company has signed a long-term wind energy contract with Lincoln Clean Energy to purchase the equivalent amount of electricity needed to power 100 per cent of the company's estimated North American operations by 2020. Vail Resorts also announced a partnership with Eco-Products to supply all of its North American restaurants with compostable and recycled items, eliminating conventional single-use plastics. In addition many of the independent restaurants and shops in the village are doing their own thing – We especially like Moguls Coffee House in the village square with their novel compostable “Stirring Sticks”. Read more about Worried About Your Carbon Footprint While Riding? Pro Ride is excited to announce our new partnership with the new Pangea Pod Hotel in Whistler. We’ve teamed up with Canada’s first capsule hotel, offering campers the opportunity to stay in the centre of Whistler’s pedestrian village without breaking the bank. All Pro Ride Campers will get 10% off their stay at Pangea! Pangea is a hub where guests can meet like-minded riders, enjoy an espresso or craft beer in The Living Room or on The Rooftop Patio, but still have their own personal space at the end of the day. There’s secure gear storage and wicked fast free WiFi throughout the property. Pangea is Canada's first ever boutique pod hotel offering a unique concept in a central location. Campers wishing to stay their entire camp or just a few extra nights before or after in Whistler will benefit from an exclusive discount at the Pangea Pod. We have no idea how or WHY but on a beautiful day during a Freeride coaching session this is where he ended up! 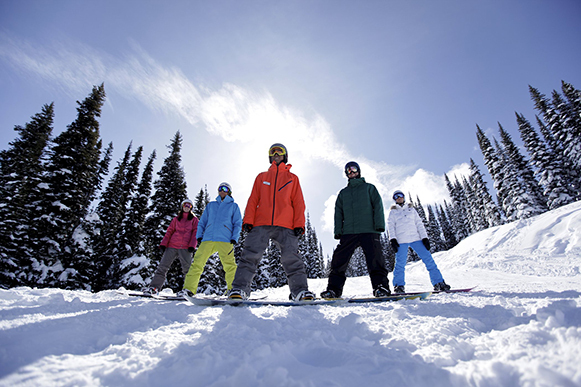 Looking to become qualified as a snowboard instructor or improve your freeride or freestyle before the season ends? Join us for any spring 4 week course starting March 3rd 2018. 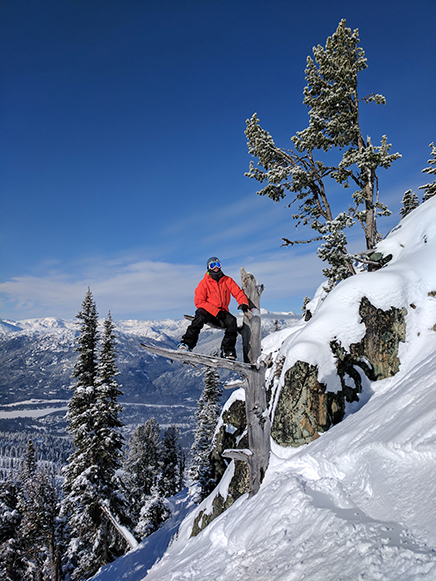 Whistler is an amazing playground for snowboarders but there are risks to this amazing adventure sport. The obvious ones are falling and breaking a bone or getting stuck in an avalanche however a tree well or SIS incident is potentially more dangerous. Here’s some useful information on tree wells and tips to keep you safe while riding the mountain this season. What is a tree well and why can it be dangerous? For the final episode of the Out of Service trilogy, Geoff Brown and his friends get back on their sleds and venture into the Whistler backcountry. They are now Literally … Out of Service.